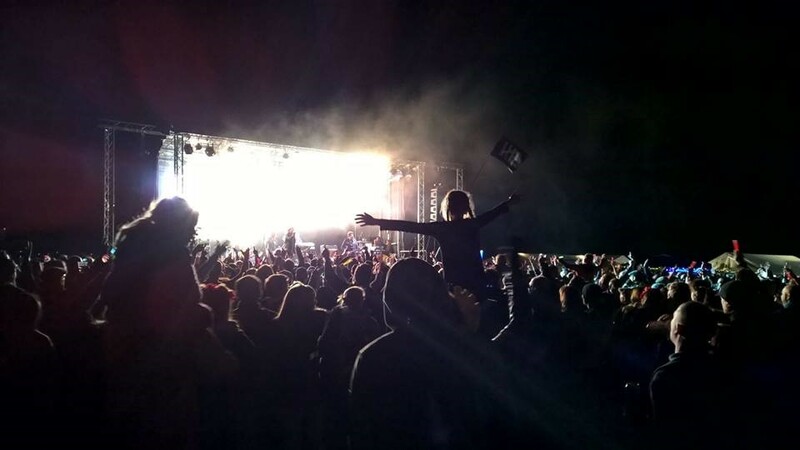 This year will see Embrace embark on their their third Secret Festival, returning to Lotherton Hall after having enjoyed the Yorkshire ambience so much last year. Coming at the end of the festival season on Saturday the 3rd of September, and only running for one day, thus avoiding the masochistic joy of 'festival camping' so far there is only one band on the line up who, funnily enough, are... Embrace. Now I know this might seem a bit of an odd concept, a festival sold as seen, but to be honest you have to buy festival tickets so far in advance now that you're gambling as to whether the thing will take place, let alone ave anyone on the bill that you actually want to see, but past special guests have included such notaries as The Magic Numbers, Gomez and Leeds legends CUD, so it should be interesting to see who comes up... not only that, but in the last two years, The Secret Festival has been nominated (and won in 2014) the Best New Festival award at the UK Festival Awards. Which is pretty good. As an added bonus, Embrace will be releasing their first new material since their self titled album in 2014, via digital and 10" vinyl EP, entitled fittingly 'The Secret EP', in preparation for a new album very, very soon.